At this year’s Big Nature event, Building Green ran a competition for kids. Aimed at getting people to think about the possibilities of green buildings, entrants were asked to draw and colour an imaginary eco house. Green roofs and other features were encouraged, otherwise it was up to the imagination of the artist! 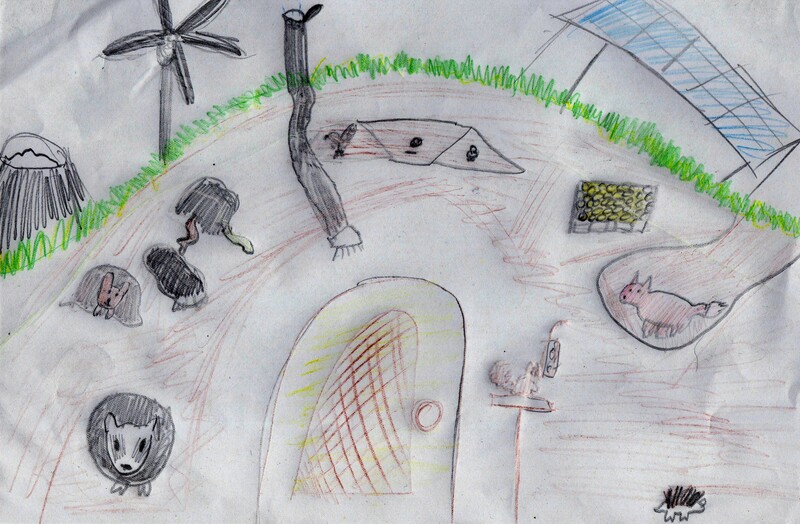 We had some great entries, but the one we selected was by 14 year old Tamsin from Brighton, who drew an earth sheltered eco-home, complete with built-in animal dens. 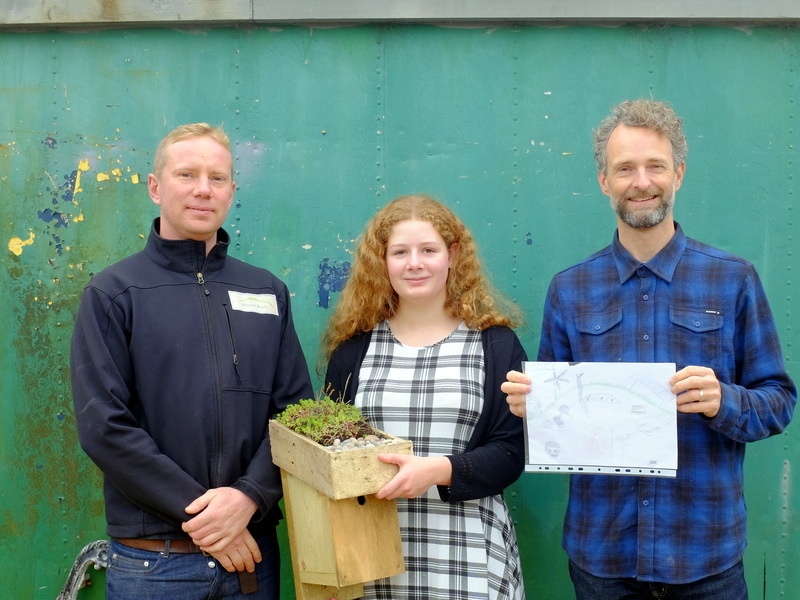 The prize was a bird box with a green roof, sponsored by Organic Roofs, and a tour of the Organic Roofs HQ in Shoreham. Lee and I presented the prize on Saturday. Well done Tamsin! 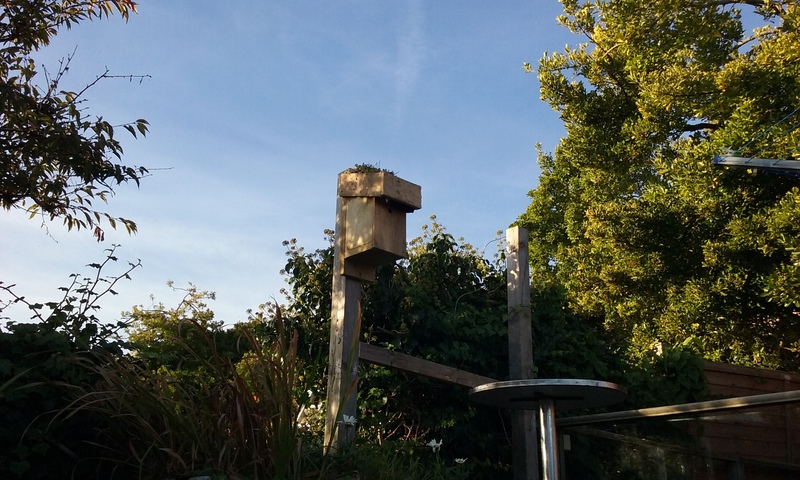 Shortly after we got this photo through of the bird box installed in the garden. That’s a lucky bird. 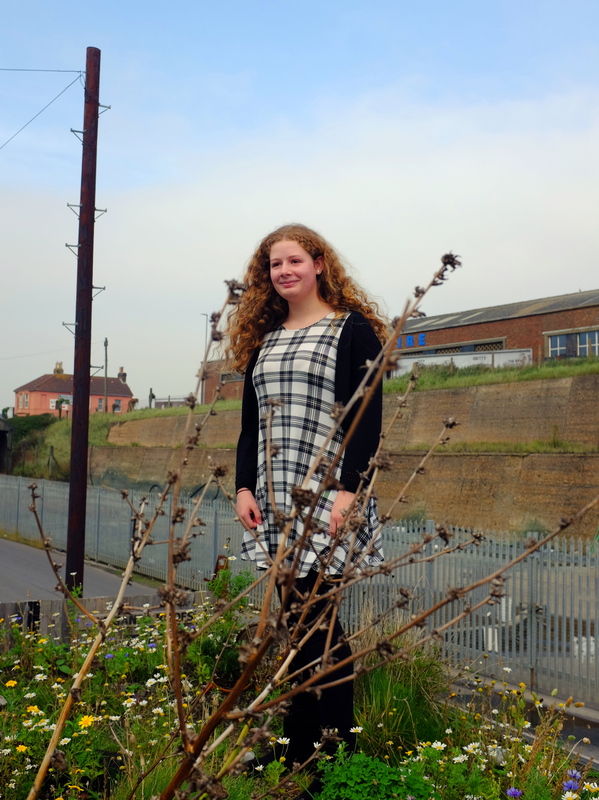 This entry was posted in news and tagged big nature, competition, eco home, green roof. Bookmark the permalink.